WASHINGTON, DC, February 25, 2017 (ENS) – When shoppers look at their food purchases today they could see any of these warning phrases alerting them when a food is no longer safe to eat: Sell By, Use By, Expires On, Best Before, Better if Used By or Best By … confused yet? 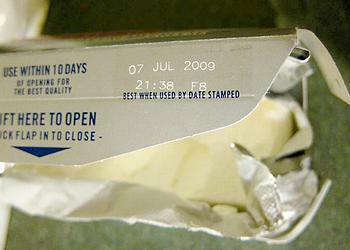 Currently, there are more than 10 different date label wordings used on food packages somewhere in the United States. The grocery industry thinks shoppers are discarding foods that are actually safe to eat and wasting good food because they just don’t understand the warnings. So, grocery manufacturers and retailers partnering are adopt standard wording on food packaging in a new industry-wide voluntary effort to cut food waste by reducing consumer confusion about product date labels. The initiative streamlines the many date labels on food packaging down to just two standard phrases. “BEST If Used By” describes product quality, where the product may not taste or perform as expected but is safe to use or consume. “USE By” applies to products that are highly perishable and/or have a food safety concern over time. 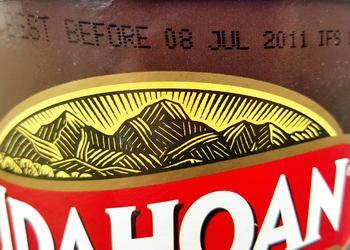 These products should be consumed by the date listed on the package and disposed of after that date. The new initiative for common phrasing is led by the two major trade associations, the Grocery Manufacturers Association and the Food Marketing Institute. “Our product code dating initiative is the latest example of how retailers and manufacturers are stepping up to help consumers and to reduce food waste,” said Pamela Bailey, GMA president and chief executive. 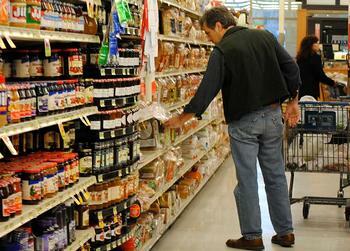 The grocery industry’s initiative is in line with new guidelines issued by the federal government. Last December, the U.S. Department of Agriculture’s Food Safety and Inspection Service issued new guidance aimed at reducing food waste through encouraging food manufacturers and retailers to use a “Best if Used By” date label. Almanza said FSIS changed its guidance to recommend the use of “Best if Used By” because research shows that this phrase is easily understood by consumers as an indicator of quality, rather than safety. Retailers and manufacturers are encouraged to immediately begin phasing in the common wording. Widespread adoption is expected by the summer of 2018. Phase in of the new voluntary standard will allow companies the flexibility to make these changes in a way that ensures consistency across product categories. “The shopper remains the most critical audience in our industry, and as the associations representing major food brands and retailers, we want to encourage a consistent vocabulary so that our customers clearly understand they are purchasing products that are of the highest quality and safety possible,” said Food Marketing Institute president and chief executive Leslie Sarasin. In the United States, food waste is estimated at between 30 and 40 percent of the food supply, according to the U.S. Department of Agriculture. This estimate, based on estimates from USDA’s Economic Research Service of 31 percent food loss at the retail and consumer levels, corresponded to roughly 133 billion pounds and $161 billion worth of food in 2010. This amount of waste has far-reaching impacts on food security, resource conservation and climate change, says the USDA. First of all, wholesome food that could have helped feed families in need is sent to landfills. “The land, water, labor, energy and other inputs used in producing, processing, transporting, preparing, storing, and disposing of discarded food are pulled away from uses that may have been more beneficial to society – and generate impacts on the environment that may endanger the long-run health of the planet,” the USDA said in a statement. Food waste, which is the single largest component going into municipal landfills, quickly generates the potent greenhouse gas methane, helping to make landfills the third largest source of methane in the United States. “Clarifying and standardizing date label language is one of the most cost effective ways that we can reduce the 40 percent of food that goes to waste each year in the United States,” said Emily Broad Leib, director of the Harvard Law School Food Law and Policy Clinic, FLPC. Joe Colalillo, president of ShopRite of Hunterdon County, Inc. in New Jersey, and chairman and CEO of Wakefern Food Corp., is a fan of the new wording because it is clear and easily understood, increasing consumer confidence. 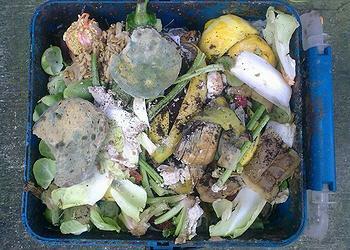 The food industry has already made progress in reducing food waste. The Grocery Manufacturers Association and the Food Marketing Institute joined with the National Restaurant Association in 2011 to create the Food Waste Reduction Alliance, which helps companies find ways to cut food waste. GMA member companies recycled 97 percent of food waste from operations and donated 156 million pounds of food to food banks in 2015. FMI member companies reported 1.5 billion pounds in diverted food waste, including 390 million pounds of food donated to food banks.